I love this recipe because its endlessly adaptable. Don’t have acorn squash? Use delicata instead. Ran out of sage? Substitute with rosemary. Just don’t use a squash with thick skin like butternut, since you won’t be peeling it here. 1. Preheat oven to 350F degrees. 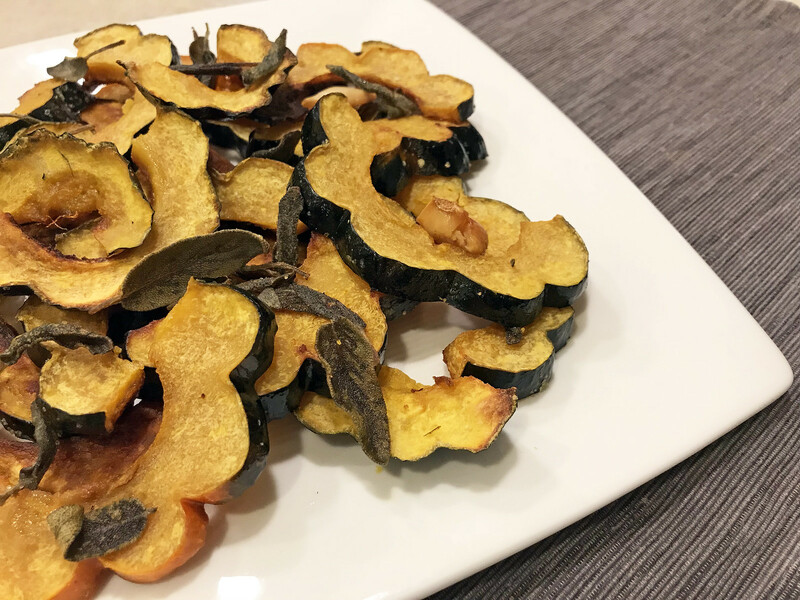 Toss squash, garlic, sage, oil, and salt in a shallow baking dish to combine. 2. Turn garlic cut side down, then roast vegetables, tossing 2 or 3 times, until golden brown, very tender, and edges and cut sides are crisp, about 1 hour. Let cool a little, then add vinegar and toss to coat.